Voted “One of the Top 3 Shows in California” by Romantic Homes, Goat Hill Fair is everything collectors, designers and junkers-at-heart love. At 8:30am on a Saturday, some 300 “Early Goat” ticket holders pay extra to get first pick at vendors merchandise. By 10am the gates open to the general public as shoppers squeeze through the crowded aisles. It’s highly anticipated, impeccably styled and an exciting place to be. The venue is set at the Santa Cruz Fairgrounds in two buildings. As soon as you enter, you immediately know that this is no ordinary antique show. Each space has it’s own flair. 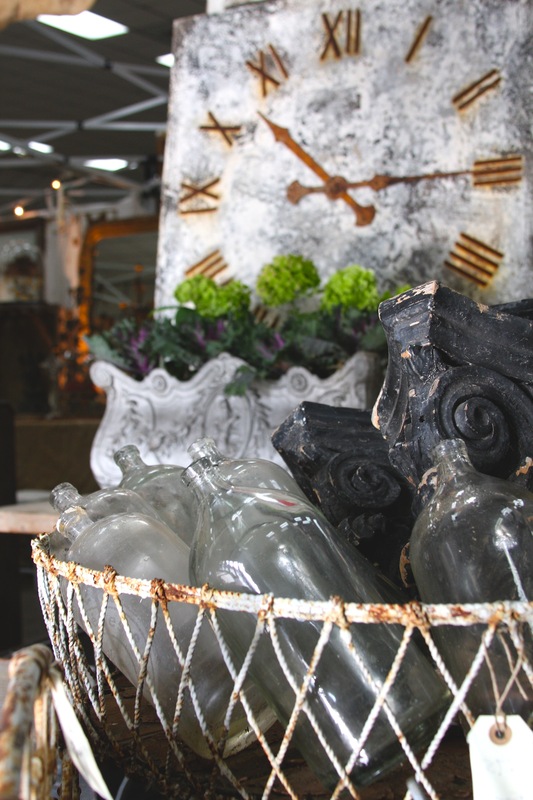 Professional staging by vendors with an eye for display, offer rare vintage finds, capturing themes ranging from enchanting French antiques to farmhouse chic’ to industrial cool. Sumptuous artisan food offered at Goat Hill is memorable, fairly priced and absolutely delicious. Caterers prepare serious tastes such as Tomato Basil Soup, Stuffed Baked Potatoes, Chicken Salad, Chili, Grilled Cheese Sandwiches, Salads and Mac n’ Cheese, while outside, the fragrant aroma of chefs grilling barbecue is worth the wait in line. There’s also a wine & beer hut for those desiring spirits, and for dessert, homemade pies. It began in 2011 with only 29 vendors on a 14-acre goat farm nestled in the Santa Cruz mountains owned by Becky & Dan Yoder. Two years later it expanded to the Santa Cruz Fairgrounds, where it remains today, boasting 85 vendors traveling from as far south as San Diego, and as far north as Chico. Creator and producer, Cyndi Garofalo, has enjoyed an illustrious career for several decades as an event coordinator and designer. That experience is apparent in the warm professionalism of her antique fair, which she heads with four highly valued assistants. 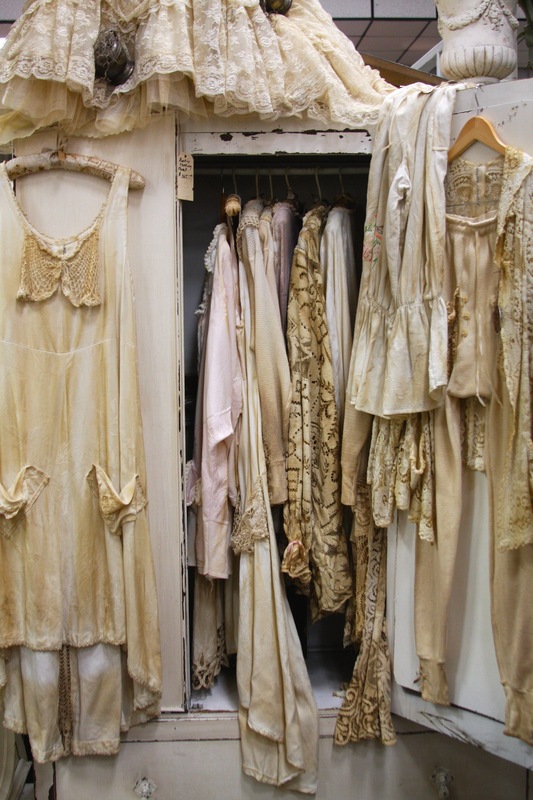 Garofalo screens each vendor, requesting photography of their inventory, making certain she selects dealers with a keen eye for display and unique vintage inventory. There is a 94% return rate of vendors, and there is currently a “wait list” for the show. I am fortunate to be one of those 85 handpicked vendors. What attracted me to Goat Hill was being in the company of creative and enterprising spirits. The spaces are varied and infused with new thought processes in design. It is set indoors which takes unpredictable weather out of the equation. They offer a two-day set-up, allowing dealers to do “over-the-top” staging, lighting and canopy décor. It is organized, well-staffed and buzzing with energy. Our love for all things beautiful inspires our souls. So, mark your calendars for next year’s shows. Make a day of it at Goat Hill Fair, and always, buy what you love.